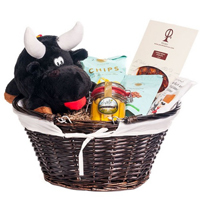 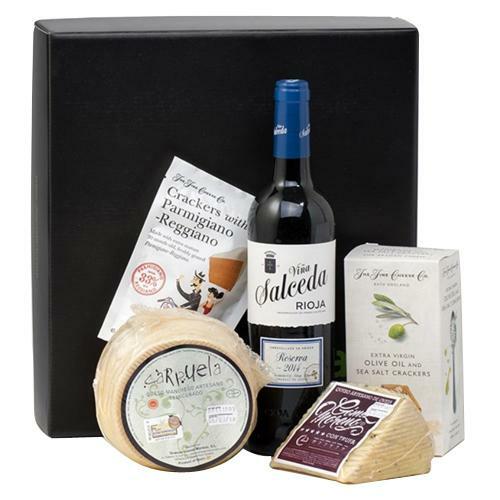 Item Description : Strengthen the bonds of friendship by gifting your friend this Delicious Gourmet Delights Gift Hamper to reminisce the golden times you spent together. 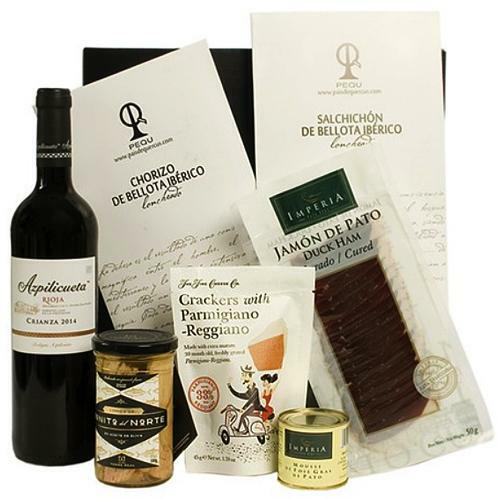 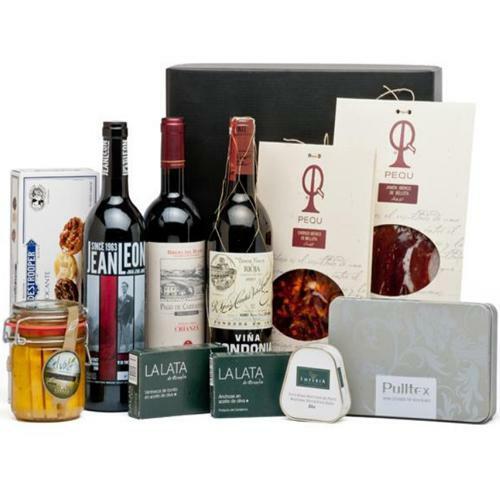 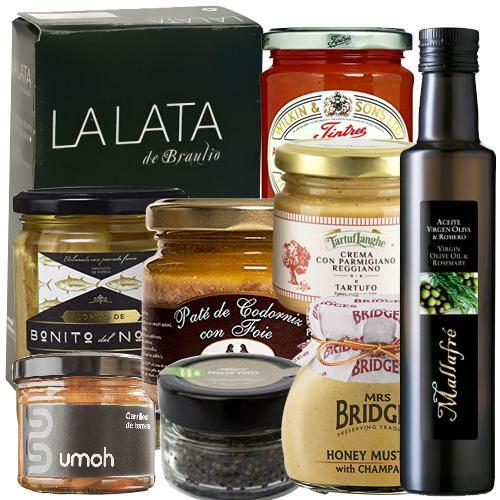 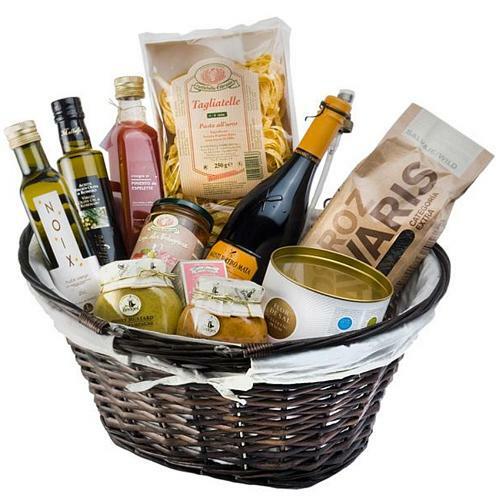 Cheer a friend with a heavenly assortment of finest imported goodies like 340 gr Tiptree Apricot jam and Armagnac, 130 gr Felix Soto Quail Pate with Foie, 90 gr La Lata de Braulio Anchovies from the Cantabrian Sea in Olive Oil, 260 gr Torre Real Loins of Bonito del Norte, 120 gr La Lata de Braulio Mussels of the Galician Rias in pickle, 190 gr Tartuflanghe Cream of Parmigiano Reggiano with Truffle, 500 gr Rustichella d Abruzzo Penne Rigate, 1000 gr Sivaris Rice Pump, 250 ml Mallafre Extra Virgin Olive Oil with Rosemary, 190 gr Mrs. Bridges Mayonnaise with Dry Tomatoes, 200 gr Mrs. Bridges Mustard with Honey and Champagne and 425 gr Umoh Pisto. 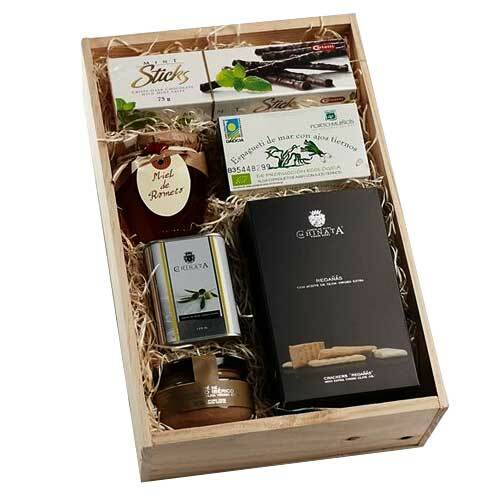 These all products are put together in an elegant functional box.